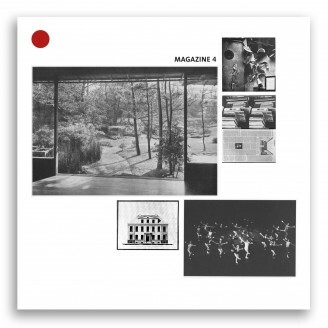 Magazine 4 Limited: A Very Limited Edition Of 44 Records Is Coming With One Stamped And Numbered Print From A Series Of 44 Different Dramatic, Theatrical Faces In 29x29cm – Each Record Of The Limited Edition Contains A Different Picture. The Outer Sleeve Artwork Continues The Conceptual Magazine Series On High Quality, Heavy Stock – Something To Hold In Your Hands! The Next Debut On Magazine: Collaborating In Art, Music And Science Since 1999, Recently Founding The Label Magazine And The Collective Cologne Tape, This Is Nevertheless The First Time Barnt, Crato And Jens- Uwe Beyer Appear Together As One Formation, Simply Called Magazine. If You Combine Their Recent Releases - Barnts Stunning Debut Ep "What Is A Number, That A Man May Know It? ", Crato's Acclaimed And Mysterious "30.6.1881", J-U Beyer’s Incredible Sound Work On His Highly Respected Last Album (With Jaki Liebezeit’s Drums Off Chaos) And Add The Cologne Tape Recordings You Can Get An Idea Of The Formation’s Cosmos — But You Are Not Quite There... Living In Cologne The Past Decade With Exceptions Of Some Years Spent In London And Manchester, The Group Is Based On Dj-Culture As Much As On The German Electronic Music Tradition As You Will Hear: The Whole Record Is Pockmarked With Overflowing Melodies — Sometimes Well Structured, Sometimes Wild And Wooly. Sum Up Hieroglyphic Being-Like Arpeggios And Transparent, Highly Original Computer Rhythms Or Strange Eight-Oh-Eight- Live Drumming And Choir-Or-Not-Like Sounds And You Get These Strange Dance Floor Moments Again – Impossible To Make Out Whether The Peculiarity Of This Ep’s Sound Is All Intentional Or Accidental.